The Palm Jumeirah is considered as the eighth wonder of the world as it is the biggest man-made island in shape of the Palm at the moment. Luxurious lifestyle and direct beach access are the main ideas of this project. 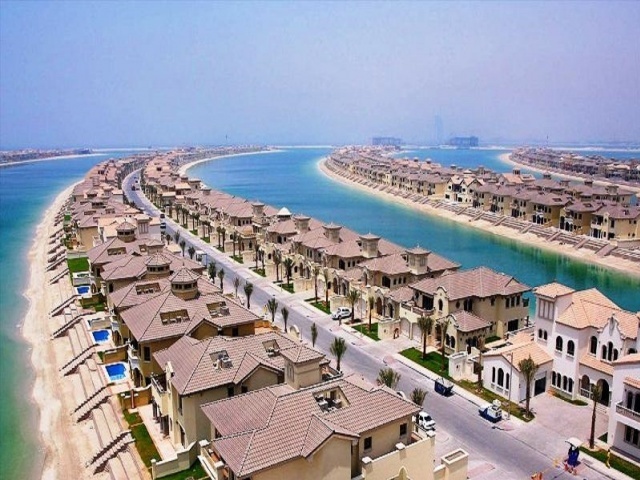 Common properties built on the Palm’s fronds are of villa type, mainly the Garden Home and Signature villas. The location of these villas on the frond often referred to as low, mid, and high number, determines its price. The higher the number, the more exclusive the villa is and the wider the view of the waterway. The villa on a higher location of the frond is becoming more desirable thus the higher frond with high number is more expensive. 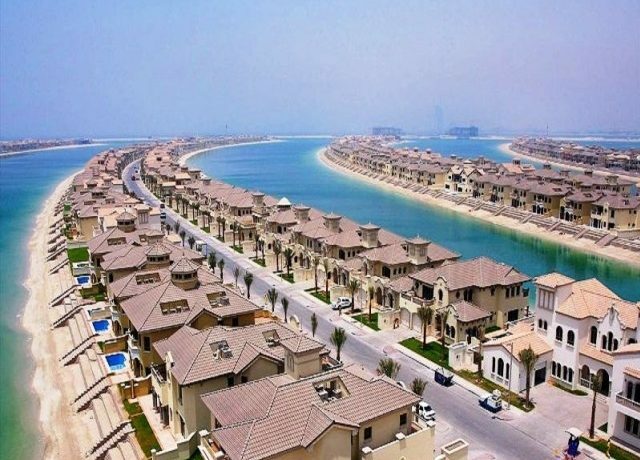 Signature Villas on the ‘fronds’ of The Palm Jumeirah are the last word in exclusivity and luxury. It is noted as a residential luxury extraordinaire that offers exclusive and modern living with a style. Fully-inspired by international architecture with distinctive furnishings and fittings, Signature Villas provide luxury living at its finest. Garden Homes offers four-, five- and six-bedroom villas giving home-owners between 5,000 and 6,000 square feet of living space, private pools, stunning water views, and a private beach. Experience the ultimate in choice, with myriad themes and a variety of floor plans to select from. Go beyond the amenities and comfort of your home to choose among restaurants, shopping, aquariums, and diverse activities nearby. •	Three level Structure – Ground + 2 Levels. Some Garden Homes have extra rooms.